Asia: Can Vietnam regain the AFF Cup? Joint hosts Indonesia are hoping to win the tournament for the first time in the nation’s history and should they be able to accomplish that with a side entirely made up of domestically-based players then it will prove a great achievement for Austrian coach Alfred Riedl, who has just taken charge of the team in recent months. Another coach hoping to prove his mettle in this tournament is Bryan Robson who has to weigh up all kinds of expectations on his shoulders. Three-times winners of this tournament, Thailand have one of the strongest squads in the competition and will hope that someone of Robson’s calibre can steer them to the prize following their shock defeat to Vietnam two years ago. Malaysia made it to the semi-finals in 2007 which remains a tournament best following their elimination at the group stage just one year later. Laos are very much the whipping boys of the group as their last victory in this tournament came in the 2004 edition. Defending champions and joint-hosts Vietnam are an improving force in south east Asian football having won the 2008 AFF Cup against Singapore. Under the stewardship of Portuguese coach Henrique Calisto, who has been a pivotal figure in Vietnamese football since 2001, Vietnam knocked out Singapore out at the semi-final stage in 2008 so this tournament gives the latter the opportunity to get revenge and set them on thier way to a fourth AFF Cup title. Under Serbian coach Radojko Avramovic Singapore has won this tournament on two occasions in 2004 and 2007 with a limited squad and his achievements have put him in the bracket as one of the region’s most successful coaches. These two countries are expected to secure the two semi-final places available via this group as their other group opponents, Myanmar and Philippines, are expected to fight against the wooden spoon. Myanmar finished behind Indonesia and Singapore in 2008 but did have the consolation of beating Cambodia to finish third in the group. The Philippines didn’t even qualify for the 2008 tournament and have failed to progress to the knockout stage in each tournament that they have entered. Can Vietnam regain the title they won in 2008? Can Germany win the FIFA Women's World Cup for the third time in a row? ARMENIA: Pyunik Yerevan finally secured their tenth successive championship on the final day of the season as they were taken all the way by local rivals Banants with the champions coming out on top by a single point. The two teams were also invoved in the Armenian cup final in May which Pyunik won 4-0 which secured the club’s fifth win in the competition. UEFA Europa League places went to Banants Yerevan and Ulisses Yerevan whilst FC Shirak Gyumri were relegated having only accumulated ten points in the whole campaign. 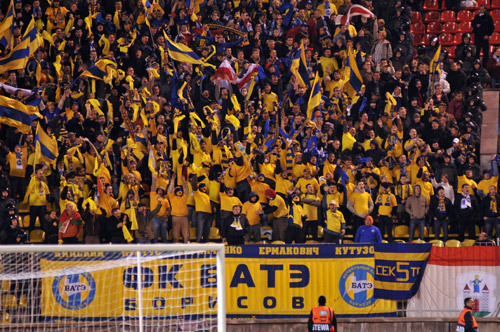 BELARUS: BATE Borisov kept up their domestic dominance by winning a fifth consecutive league championship. Having already won their second national cup triumph with a 5-0 win over Torpedo Zhodino in May, the club were challenged by Shakhtar Soligorsk up until the last few weeks of the league season. BATE go into next season’s Champions League, Soligorsk and FC Minsk qualified for the UEFA Europa League. Partizan Minsk go down to the 2nd League next season whilst Torpedo Zhodino won a two-legged play-off against 1. League team SKVICH Minsk to retain their top-flight status. ESTONIA: It was a classic race for the title between the nation’s two powerhouse teams of FC Levadia, champions for the previous four years, and FC Flora who eventually claimed their first Meistriliiga title since 2003 by a margin of five points. Levadia at least had the consolation of winning their sixth Estonian Cup in May having defeated their arch-rivals Flora in the final with a convincing 3-0 victory. FC Trans Narva qualify for the UEFA Europa League whilst, at the bottom of the standings, FC Lootus Kohtla-Järve automatically drop down to the 2. League and are replaced by Lasnamäe FC Ajax. FC Kuressaare retain their place in the top flight having defeated Kiviõli Tamme Auto 4-2 in a two-legged promotion/relegation play-off. FAROE ISLANDS: HB Tórshavn had it tough in defending their title but were made to work by a determined EB/Streymur side. HB won the championship by three points whilst EB/Streymur had the consolation of winning the national cup in August when narrowly beating ÍF Fuglafjørður by a goal to nil. Joining EB in the UEFA Europa League will be NSÍ Runavík and ÍF Fuglafjørður. Unfortunately the cellar door opens for FC Suðuroy and AB Argir, both of whom are relegated. FINLAND: HJK Helsinki won the Finnish Veikkausliiga with weeks to spare as they eased their way to a record extending 23rd national championship and a place in next season’s UEFA Champions League qualifying rounds after beating KuPS Kuopio. They were denied the double, however, after TPS Turku beat them to cup honours with a 2-0 win in the final played in September. KuPS and TPS are joined in the Europa League by FC Honka Espoo but, sadly for FC Lahti, they are relegated. JJV Jyväskylä won a two-legged play-off with First Division side FC Viikingit by three goals to one to secure their place in the top flight for 2011. ICELAND: Breiðablik won their maiden national championship this season after narrowly pipping outgoing champions FH to the title by virtue of goal difference. FH did win the Icelandic Cup after strolling to a 4-0 win over KR Reykjavik. ÍBV Vestmannaeyja and KR Reykjavik will enjoy UEFA Europa League action next season whilst Haukur and UMF Selfoss are relegated. LATVIA: Skonto Riga won a closely fought Virslīga title after pipping FK Ventspils and, thus, winning their 15th championship, their first in six years. In an exciting 2009-10 Latvian Cup competition FK Jelgava won their way through every round on penalties in order to emerge victorious. They defeated FK Jūrmala-VV in the final and sealed a fourth triumph in the competition. Liepājas Metalurgs will join FK Ventspils in the UEFA Europa League whilst FK Jaunība and FC Tranzit Ventspils are relegated to be replaced by FB Gulbene-2005 and FC Jūrmala. LITHUANIA: FK Ekranas won their third successive A-Lyga title having beaten nearest challengers FK Sūduva by a seven point margin. This title win meant that it was another double triumph for Ekranas who were also victorious in May’s Cup final when beating FK Vetra Vilnius 2-1. FK Vetra had a miserable year after having all of their results annulled due to financial irregularites and were relegated. On a happier note FK Sūduva and FK Žalgiris Vilnius qualified for the 2010-11 UEFA Europa League. NORWAY: Rosenborg Trondheim celebrated their 22nd Tippaligaen title winning the league wth two matches to spare. They sealed their championship by seven points from second place Vålerenga. Strømsgodset IF were successful in the Norwegian Cup final beating 2nd tier side FK Follo 2-0, thus sealing their fifth cup title. Strømsgodset IF qualify for the UEFA Europa League along with Vålerenga and Tromsø IL. Sandefjord and Kongsvinger are relegated whilst Hønefoss BK won/lost a play-off match to Fredrikstad which kept them up/saw them relegated. REPUBLIC OF IRELAND: The Airtricity League run-in was a close run thing between the top two teams Shamrock Rovers and Bohemians with the former coming out on top over the latter by virtue of goal difference. Both teams had swapped places a couple of times in the last few weeks of the season but it was Shamrock Rovers who held out with just two goals separating them from their title challengers. Shamrock Rovers enjoy a first league title since 1993-94 but were unable to make it a double triumph, losing to Sligo Rovers on penalties in the FAI Cup final. Bohemians, Sligo Rovers and Sporting Fingal seal the UEFA Europa League places but at the bottom Drogheda United landed the wooden spoon and are relegated whilst Bray Wanderers stayed up by virtue of a penalty shoot-out win over 2nd tier side Monaghan United in a play-off. RUSSIA: Zenit Saint Petersburg won their second Russian Premier League title in four years having dominated the top spot from Matchday 9 until the end of the campaign. Coach Luciano Spalletti, in his first season at the club, also celebrated a fantastic 2009-10 Russian Cup victory against Sibir Novosibirsk with Roman Shirokov on the score sheet in Zenit’s 1-0 win. Rubin Kazan and CSKA Moscow finished in the two UEFA Champions League places whilst capital clubs Spartak and Lokomotive had to settle for the UEFA Europa League along with Sibir. In a mixed season for Sibir they were also relegated after finishing bottom of the table and will be joined in the First Division by Alania Vladikavkaz. SWEDEN: The Allsvenskan championship race went to the wire with Malmö FF clinching their 16th championship by holding off the challenge of Helsingborgs IF who they pipped to the title by two points. Malmö FF qualify for the UEFA Champions League Helsingborgs IF must contend themselves with UEFA Europa League football along with Örebro SK and Hammerby whose involvement in the Svenska Cupen final against Helsingborgs IF ensured their qualification regardless of the result. IF Brommapojkarna and Åtvidabergs FF drop down into the second tier whilst Gefle IF survive for another season in the top flight after winning a two-legged play-off against second tier GIF Sundsvall. The CAF Confederation Cup, Africa’s equivalent of the UEFA Europa League or Copa Sudamericana, played out the first leg of the final this weekend with two north African teams scrapping out a goalless draw in the first leg. FUS Rabat from Morocco have really taken to this competition in what is their first ever continental campaign. Having been a second division club just a few years ago the team from the Moroccan capital are an ambitious club who are on the up and they have shocked many a side on the way to their first ever African final. Their opponents CS Sfaxien of Tunisia are experienced campaigners in this tournament having won it twice before in 2007 and 2008 and were hoping to take something back home from the first leg. In what was a tight game both teams had a few chances to break the deadlock but it proved to be beyond both teams to trouble the goalkeepers. Both teams had a measure of safety-first about their play and no doubt that Sfaxien will be the more content of the two teams as they host the second leg which will be played on Saturday, December 4th. 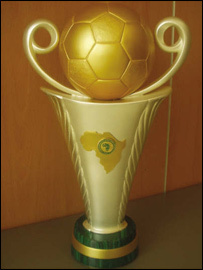 The winner of the competition will play CAF Champions League winners TP Mazembe in the 2011 African Super Cup early next year. Two of South America’s top leagues are guaranteed a grandstand finish following this weekend’s results. In Brazil any one of three teams – Fluminense, Corinthians or Cruzeiro – can win the title with two points separating them with one match to play. In Chile the current league leaders Universidad Católica must avoid defeat in their final game if they are to take the title from their nearest challengers Colo Colo. The Campeonato Brasileiro has made a regular habit of last-day title deciders in recent years and this year is no exception. Fluminense lead the way going into the final day with 68 points from 37 games following a tough 2-1 away win at Palmeiras. Dinei gave the home side the lead after just four minutes leaving “Flu” with a mountain to climb. The league leaders showed plenty of determination to come back and they deserved their victory with goals from Carlinhos (18 mins) and Tartá (58 mins) sealing a crucial three points. On their tails hang Corinthians and Cruzeiro who are one and two points behind the leaders respectively and who are waiting to pounce should Fluminense slip up. Corinthians won their penultimate game against Vasco da Gama 2-0 with goals from Bruno César and Danilo. Cruzeiro, like Fluminense, had to come from behind away from home in order to stay in the title race. The Belo Horizonte based team beat last season’s Brasileiro champions Flamengo 2-1 with goals from Roger and Thiago Ribeiro doing the business. On the final day of the season Fluminense hope to secure only their second ever Brasileiro title with a home win against Guarani. Should Fluminense fail to win then Corinthians and Cruzeiro will be hoping that victories over Goiás and Palmeiras respectively will be sufficient for title success. Will Universidad win the Chilean league? In Chile the situation is almost more clear cut following this weekend’s results. Universidad Católica, who have been in second place for most of the season, will be in first place going into the final match of the season having come from behind twice and eventually winning 3-2 in a dramatic last-gasp finish against Cobreloa. Juan Eduardo Eluchans scored the winner for Universidad in the 89th minute as they pulled off a remarkable backs to the wall job. Their real reward came 24 hours later after nearest challengers Colo Colo failed to get anything from their game against C.D. O’Higgins. Esteban Paredes equalized for Colo Colo in the 52nd minute having been behind to an early Samuel Teuber goal but things got much worse for the defending champions after that. Firstly O’Higgins went ahead in the 56th minute through Lucas Ojeda and then two Colo Colo players, Rodrigo Melendez and Esteban Paredes, got themselves sent off. The results mean that Universidad Católica have a three point lead going into their final match of the season against relegation threatened CD Everton whilst Colo Colo must win their final game against Universidad de Concepción and hope that the league leaders lose. Can Monterrey reclaim the Apertura title they won last season? Monterrey and Santos Laguna have the chance to win the 2010-11 Mexican Apertura title after they defeated UNAM Pumas and Club América respectively. For Monterrey it’s a chance to defend the title that they won in the 2009-10 season whilst for Santos Laguna it’s the perfect opportunity to win a first domestic title since winning the 2007-08 Clausura tournament. Monterrey were involved in a goalless draw in their semi-final first leg match against the Pumas and the second leg seemed destined to end in the same score line until two very late goals decided the match in Santos’ favour. 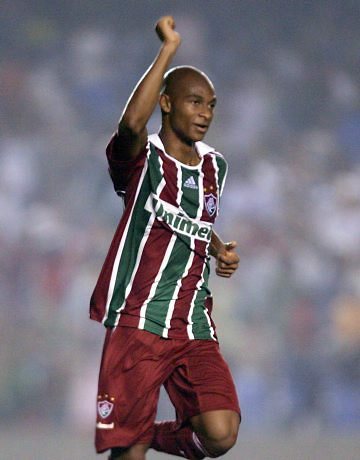 Humberto Suazo finally broke the deadlock on 88 minutes with Neri Cardozo making the game safe two minutes into stoppage time by scoring the second goal of the game. Monterrey’s 2-0 win ensures that the club have the chance to defend the Apertura title they won last season, in which they defeated Cruz Azul in the final. Santos Laguna were involved in a thrilling couple of games against Club América with the former going into last night’s second leg with a 2-1 lead. Carlos Quintero increased Santos’ aggregate lead by scoring the first goal of the return fixture after just two minutes. Vicente Sánchez restored parity on the night for Club América after 61 minutes only to see the home side re-take the lead sixty seconds later with Quintero scoring his second of the game. Matías Vuoso made the second leg 2-2 after 67 minutes but Santos regained the advantage for a third time with a quarter of an hour remaining thanks to Christian Benítez. Enrique Esqueda’s goal made the game 3-3 with five minutes to play but Santos were able to see out the rest of the match and take the tie 5-4 on aggregate. With both Apertura finalists already qualified for the quarter-final stages of the 2010-11 CONCACAF Champions League it would be the cherry on top of the cake to take domestic honours going into the second half of the season. The first leg of the Apertura final takes place on Thursday, December 2nd in the city of Torreón whilst Monterrey plays host to the second leg three days later. Both clubs have three league titles to their name – who can make sure of Number Four? Ukrainian champions Shakhtar Donetsk are beginning to run away with the Ukraine Premier League title as it enters its three month hibernation period for the winter. Mircea Lucescu’s men completed the year with a 4-0 win over Arsenal Kyiv and with eternal rivals Dynamo Kyiv already a distant twelve points behind the Miners it appears that the title already seems destined to end up in eastern Ukraine once again. With nineteen matches played it is already past the halfway stage in the Ukrainian Premier League as each team plays thirty games to complete a league campaign. The only reverse that Shakhtar have suffered in the league so far is a shock 1-0 away defeat at Obolon Kyiv on Matchday 9 but that was as played in early September, at which point Shakhtar’s advantage over Dynamo Kyiv was a mere two points. Since then Shakhtar have been in great form, winning all ten of their league matches including a 2-0 home defeat of Dynamo Kyiv on Matchday 12 in early October. Dynamo have only picked up twenty of the available thirty points since September and that is the reason for the huge gap that now exists between the two clubs. This Saturday saw Dynamo narrow the gap temporarily to nine points with a laboured 2-0 win over PFK Sevastopol, who lie second from bottom in the table. Roman Eremenko gave Dynamo the lead as early as the 10th minute but then the home side had to wait until midway through the second half to secure the game when Ognjen Vukojević doubled their lead. On Sunday Shakhtar made easier work of sixth place Arsenal Kyiv with all of the goals coming from South Americans. Brazilian Jadson gave the Miners the lead on 17th minutes from the penalty and Bolivian Marcelo Moreno doubled the lead eight minutes before half-time. After the break another pair of Brazilians got in on the act to complete the rout. Eduardo made it 3-0 just after the hour mark before Douglas Costa got the fourth from the penalty spot in the 79th minute. For Dynamo the second half of the season could prove to be a useful rebuilding exercise ahead of the 2011-12 season as, barring miracles, it seems that nobody will be able to dig away at Shakhtar’s 12 point lead. After the first round of games played in the Digicel Caribbean Cup, currently being held in Martinique, Cuba pulled off the biggest surprise in Group H when beating record champions Trinidad & Tobago whilst in the same group the host nation were held to a draw by Grenada. In Group I defending champions Jamaica got their campaign off to a winning start and they hold a two point lead in the standings following a draw for their other group opponents Guyana and Guadeloupe. Trinidad & Tobago have won the Caribbean Cup on a record eight occasions and many had them down as one of the favourites going into this year’s tournament to win it again. Spirits will have been dampened, however, by the defeat they suffered to an improving Cuba team who scored a goal in each half in a 2-0 win. Jaime Colomé gave the Cubans the lead on 23 minutes and his team-mate Roberto Linares sealed the deal with eleven minutes of the game to go and helped Cuba to a morale-boosting victory which will give them confidence ahead of their next game against Martinique. The host nation could only muster a 1-1 draw in their opening game against Grenada who took the lead after 23 minutes thank to Kithson Bain. Martinique got back on level terms with ten minutes left to play after José-Thierry Goron scored from the penalty spot. In the other group Jamaica, defending champions from two years ago, got their tournament off to the best possible start with a 3-1 victory over Antigua & Barbuda. The Reggae Boyz had a comfortable 3-0 lead at the half-time break thanks to strikes from Luton Shelton (2) and Dane Richards. Antigua and Barbuda did pull a goal back in the second half but the damage was already done and Jamaica comfortably saw out the rest of the game. A frantic last twenty minutes saw neither Guadeloupe nor Guyana get off to a winning start in their match, both having to be content with a point apiece following a 1-1 draw. Guadeloupe opened the scoring on 70 minutes through Loïc Loval but Guyana won a penalty with just four minutes remaining, Dwain Jacobs restoring parity and rescuing a point for his side. On Matchday 2 table toppers Jamaica face off against Guadeloupe while Antigua & Barbuda hope to win their first points of the tournament against Guyana. The 2010 Gulf Cup of Nations, currently being hosted in the country of Yemen, is two matches into the 20th edition of the tournament. Following their second game the host nation knows that not even a win in their final group game against Kuwait can get them into the semi-finals. That’s because Group A is topped by Saudi Arabia and record nine-time champions Kuwait, each of whom have four points, with Qatar close behind the top two with three points. On Matchday 2 the top two teams faced off against each other and could only muster a goalless draw to follow up on opening day wins. In the other Yemen, hoping to keep local interest alive for a couple more days, were defeated by Qatar by two goals to one. Even in the unlikely event of Yemen chalking a win against the much stronger Kuwait team there is little they can do but restore some pride to their team. Saudi Arabia and Qatar, meanwhile, will hope to cement a place in the semi-finals with the former needing only a draw whilst the latter must win. That should make for a fascinating contest. In Group B defending champions Oman are making hard work of the competition having drawn both of their games against Bahrain and the United Arab Emirates. Oman must win their final group match against table toppers Iraq, who have a two point lead on Oman in the group standings, on Monday to confirm a place in the last four. The United Arab Emirates, who lie in third place due to having scored fewer goals than Oman, face off against bottom team Bahrain on Matchday 3 and they will hope to be able to get three points but Bahrain do still have an outside chance of qualifying for the semi-finals but will need the results of both games to go their way. Olympique Marseille were champions in 2009-10. Will they win it again this time? France’s domestic championship may not contain any of the likely contenders for the UEFA Champions League this season but, as a competition, it is proving one of the more compelling races in European football at the moment. With only 10 points separating Lille OSC at the top of the table from Racing Club Lens in 19th place there isn’t much of a gap between virtually all of the teams in Ligue 1 and it is feasible that anyone who can put together a good run of wins can go on to win the championship. The current situation is in stark contrast to most of the last ten championships in which Olympique Lyonnais were a dominant force for many of those campaigns, winning the Ligue 1 title seven years in a row from 2002-2008. In that time it was common for OL to win the league with quite a few games to spare although there was one one campaign in 2002-03 in which the top seven teams were separated by just six points at the season’s end. Things have balanced out in the last two seasons with Olympique Lyonnias losing their dominance following title wins for Girondins de Bordeaux (2008-09) and Olympique Marseille (2009-10) and the hope is there for virtually every team that the league can be just as tight as it was in 2002-03. OK, it’s early days so perhaps I’m getting carried away. Nonetheless there is a counter argument in which people believe that a situation like the one gripping France right now shows a clear lack of quality teams. Whether that’s true or not at least the action is unpredictable unlike in most other championships in which, if you’re lucky, three teams might make a decent attempt at a title challenge. More often than not, though, it is usually a straight fight between the same two teams every year with the rest of the league lucky to be fighting it out for UEFA Europa League places – just like what has happened in countries like England, Italy and Spain in recent years. So for now we must say vive la différence! With five matches to go before the halfway point anyone who puts together a run of three or four wins will have a good chance of establishing their title credentials in the long term. On current form it is no surprise to see that five of the six teams to have won three of their last five games – Lille OSC, Montpellier HSC, Olympique Marseille, Olympique Lyonnais and Auxerre – are in the top half of the table where the gap between those teams is only five points. Therefore anybody who can maintain such winning momentum in the games leading up to the Christmas break stands a good chance. Even in the bottom half of the league a run of three wins in five for AS Nancy has got them out of relegation trouble lifting them up to 14th place and even they are closer to the top of the table, in terms of points won, than they are to the bottom. Such is the margin for error in the league and the closeness of the competition within it that it is anybody’s guess who will be where at the end of the season. On Matchday 15 the top match sees joint top Lille OSC travel to 7th place Girondins de Bordeaux, a win for the hosts would take them above the league leaders. Other matches include 5th place Olympique Marseille against 2nd place Montpellier HSC and Olympique Lyonnais (8th) welcome Paris Saint Germain (3rd) in one of the classic matches in the French football calendar.